Clarke County is a county in the state of Georgia. Based on the 2010 census, the population was 116,714. Clarke County was created on December 5, 1801(Unified on January 14, 1991) from Jackson County. The county seat is Athens, with which it is a consolidated city-county. The county is named in honor of Elijah Clarke (1733 - 99), a Revolutionary War hero. Clarke County is included in the Athens-Clarke County, GA Metropolitan Statistical Area, which is also included in the Atlanta-Athens-Clarke County-Sandy Springs, GA Combined Statistical Area. 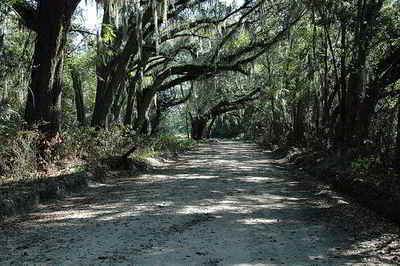 The county is named in honor of Elijah Clarke (1733 - 1799), a Revolutionary War hero. Clarke County was created from a part of Jackson County in 1801. The county is named for Revolutionary War General, Elijah Clarke. Clarke County is home to a tree that owns itself. Colonel William H. Jackson, a professor at UGA, owned the land on which a large oak tree stood. He willed the tree the eight feet of land around its trunk. The original "Tree That Owns Itself" blew down in 1942. The Junior Ladies' Garden Club planted a sapling from one of the tree's acorns, and it is still standing today. On January 14, 1991, the unification of the City of Athens and Clarke County established the second consolidated city/county government in the state of Georgia. Athens was spared Sherman's "March to the Sea," leaving a variety of antebellum structures, some of which are recognized today by 33 landmarks and 13 neighborhoods listed on the National Register of Historic Places. Encompassing 313 acres, and located in Clarke County, the State Botanical Garden is a horticultural preserve set aside for the study and enjoyment of plants and nature. Athens grew up around the University of Georgia, the nation's oldest land grant university. On campus, the main library houses the original Constitution of the Confederate States of America. 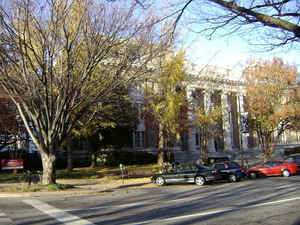 Also in Athens is the Georgia Museum of Art, designated by the Georgia General Assembly as the official state art museum. The permanent collection has more than 8,000 works of art. The Morton Theater, completed in 1910, is the only remaining vaudeville theater on the National Register of Historic Places that was built, owned, and operated by an African-American, Monroe "Pink" Morton. In its heyday, the Morton featured headliners such as Louis Armstrong, Cab Calloway, Blind Willie McTell, and Duke Ellington. The landmark building and community cultural center also housed black professionals' offices, where doctors, dentists, pharmacists, jewelers, barbers, and insurance companies served the black community throughout the first half of the 20th century. Hall Johnson, a native Athenian who incorporated jazz and blues techniques, established the Hall Johnson Chorale, and is considered one of America's most distinguished black musicians (National Music Council's Landmark of American Music). Many notable people are associated with the area, including Henry Woodfin Grady, a journalist and spokesman for the "New South" following the Civil War. Dr. William Lorenzo Moss taught at both Harvard and Yale Universities before coming to the University of Georgia's School of Public Health Medicine. He developed the Moss System of classifying blood. Joseph Henry Lumpkin was the first Chief Justice of the state, and Ben T. Epps was Georgia's pioneer aviator. He designed, built, and flew the first plane in Georgia and then ran a flying service from 1917 to 1937. Clarke County is located at 33°57'20″N 83°23'00"WCoordinates: 33?57'20"N 83°23'00"W.
As reported by the Census Bureau, the county has a total area of 121 square miles (310 km2), of which 119 square miles (310 km2) is land and 1.8 square miles (4.7 km2) (1.5%) is water It is the smallest county by area in Georgia. 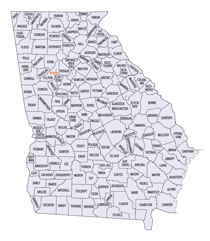 Clarke county is located in north Georgia. Most of Clarke is in the Oconee River basin with a very small portion of northeastern Clarke in the Savannah River basin.